Armando Sanchez has been named the new Executive Director of HEART, the Housing Endowment and Regional Trust of San Mateo County, an agency that raises money to address the challenge of housing needs in San Mateo County. Sanchez will begin his new role on March 14, 2016. Armando Sanchez is a recognized housing professional with a broad range of experience in real estate development, finance, management and marketing. His background includes extensive consulting for government and non-profit agencies in the housing field. He is the founder and Principal of AF Sanchez and Associates, in existence for two decades. 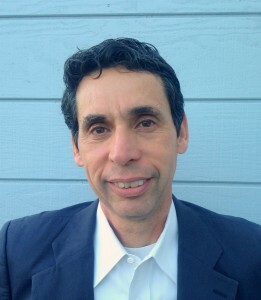 Sanchez also has worked as a housing consultant to cities in San Mateo County. He holds a BA from the University of California, Berkeley, and an MBA from the University of Washington in Seattle. The mission of HEART, a Joint Powers Agency representing both the public and private sectors, is to meet critical housing needs in San Mateo County by raising public and private funds in order to finance affordable rental housing construction or rehabilitation. The agency also offers down-payment assistance loans to first-time homebuyers. When California Governor Jerry Brown eliminated Redevelopment Agencies, which had been a source of funding for affordable housing projects, the role of HEART in San Mateo County became more vital in providing local financing for new affordable housing development.